Our web space and email storage allowances are very generous to start with but if you feel you are nearing your maximum allowances, you’ll have the option to upgrade at any time. 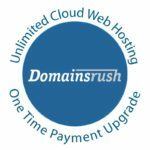 Transfer your domain to Domainsrush and take advantage of our fully featured servers that will take your business to the next level. We offer 1000Mb storage per mailbox. 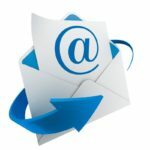 You will get an email from us when your are getting close to your maximum allowance, you can either download your emails or delete them from the mailserver. If you need more mailbox storage you can upgrade in segments of 1000Mb for a small annual charge. Domainsrush can help you. We design and build websites to suit all sizes of business and all budgets. We can build you a website that you can keep up to date yourself or you can choose to use our fully managed service and we will do the updating for you. A WordPress website isn’t complete when it’s launched. Far from it. The launch is just the beginning. The reality of WordPress sites is that somebody needs to look after them on an ongoing basis. 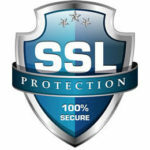 The good news is that we are able to protect this information for you using our domain name privacy product. For just £4.95 per year we will protect your real identity in the domain WHOIS databases by providing generic contact information using our domain name. So rather than your address, your phone number and your name being displayed, all they see is identity-secured.